Download Free Snack Bar Packaging Mockup. This Free PSD Mockup template will help you presents your Snack bar packaging designs in a photorealistic manner. The Snack Bar Packaging Mockup PSD is fully layered and well organised for easy customisation. 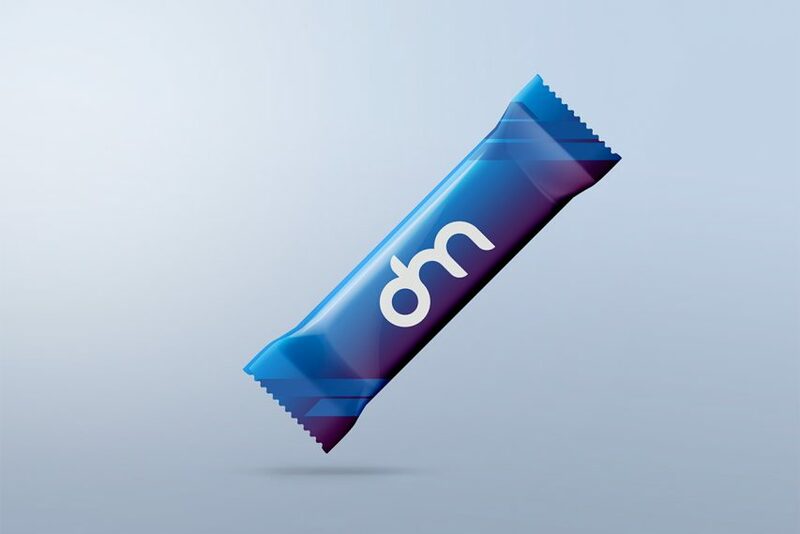 This free Mockup template includes a smart object layer which makes it really easy to replace the snack bar packaging design in just few clicks. The shadow is placed on individual layers making it very easy to modify or remove it completely. The area behind the snack bar is also transparent allowing you to place your own background or change the background color if needed. This Free Snack Bar Packaging mockup can be good for creating designers portfolio as well. So Download this Chocolate Candy Bar Mockup and showcase your design in more efficient and impressive way. Hope you like this Free Snack Bar Packaging Mockup Enjoy!